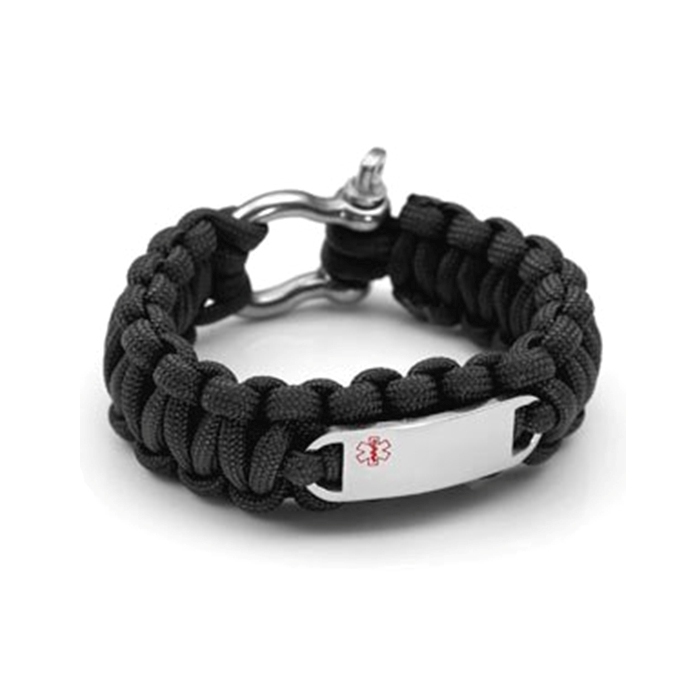 This black medical ID bracelet is a great gift for kids, teenagers and adults who love the outdoors! 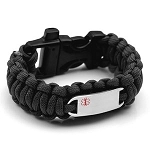 The survival bracelet is made of parachute cord (known as paracord), which can unravel to about 9 1/2 feet. 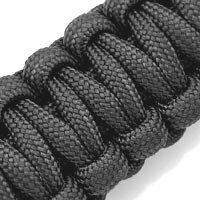 The paracord can support approximately 300 pounds in weight. Uses might include creating slings and tourniquets, repairing backpacks and tents, and binding together makeshift shelters! The plaque can be engraved with medical and emergency contact information in case of unconsciousness. 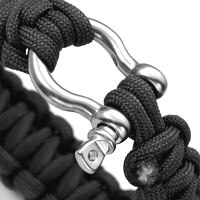 Clasp holds in place by screw to ensure it cannot accidentally fall off. Please be aware that, once cut, bracelet can NOT be put back together. The polished stainless steel plate features a red enamel medical alert symbol and is approximately 1 1/2 by 1/2 inch. 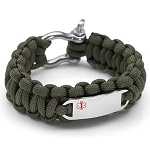 The bracelet is about 3/4 inch wide and available in 3 lengths.